Rolex is a legendary brand that is synonymous with class, sophistication, and pride. Perhaps, no other watch brand commands this scale of widespread recognition. This remarkable reputation was built through impeccable precision and the highest standards of quality which have stayed consistent since the company’s inception. In 1905, a 24-year old Hans Wilsdorf founded a company that was dedicated to distributing timepieces with the precision of Swiss movements. A true visionary, he believed that eventually wristwatches would soon take over the appeal for pocket watches and become a daily necessity. Initially, the focus of the company was to create watches whose movements would be of the highest quality. Rolex watches became the early proponents of not only a new and active lifestyle but also sophisticated designs and significant technological innovations. Rolex was committed to chronometric precision and in 1910, Rolex watches were the first wristwatches in the world to have received the Swiss Certificate of Chronometric Precision, which was awarded by the Official Watch Rating Center in Bienne. The Kew Observatory in Great Britain bestowed Rolex watches with a class “A” precision certificate, which until then was reserved only for marine chronometers. In 1919, Rolex moved to the city infamous for watches, Geneva. Montres Rolex S.A. was registered in 1920 in Geneva, a city well known worldwide for watch making. Rolex has to its credit the creation of “Oyster”, the first waterproof and dustproof Men’s wristwatch. This was a major step forward and it was proven when an English swimmer wore the Rolex Oyster for his 10 hours English Channel swim. The watch remained in perfect working condition and helped establish the brand’s supremacy in the men’s watches sector. Over the years, Rolex has continued to revolutionize and is renowned for its spectacular innovations. In 2012, it was the first wristwatch that had a command bezel, which is a technology developed by Rolex which is an interface between the bezel and the movement of the quartz and helps boat racers see precise timings during very important stages of races. Rolex is not only iconic but is also worn by icons internationally. Martin Luther King wore a Rolex Gold Datejust for his “I Have a Dream” speech. The Dalai Lama owns many Rolex watches. Edmund Hillary wore a Rolex Oyster Perpetual on his summit expedition to the Everest and so did his partner Tenzing Norgay. Filmmaker and NGC explorer, James Cameron made his first solo drive into the deepest point on earth, the Mariana Trench. It was the only dive into the trench since the two-man expedition in 1960. One passenger was common on both voyages: a Rolex watch. Adored by celebrities, athletes and actors, you can often spot a Rolex watch on these well-known icons’ wrists. Brad Pitt straps an Explorer, Ellen DeGeneres wears a Daytona, and David Beckham sports a Sea Dweller, among many other famous figures who value this brand. Rolex is also the Official Timekeeper of Formula 1 Racing. A Rolex is classic, lends immense sophistication to the wearer and is a hallmark of success. Owning a Rolex watch is truly special. A Rolex watch is not only a covetable luxury but also is the ultimate must-have watch. The innovative watch styles, the rich history of the company, unparalleled craftsmanship and its unmatched legacy makes Rolex a class act. These watches are perfect for all occasions, from everyday wear, sports and extreme activities, events to everything in between. Rolex is not only the proponent of an active lifestyle but also pioneers design innovations and unparalleled technological precision. Rolex has a wide range of designs in men and women watches that range from classic to professional. Explore the extensive collection to find a watch that suits your wrist. Select your favorite model from different materials, dials, bracelets, and bezels to find a watch that was made just for you. You could purchase a Rolex from company-owned stores, authorized resellers or look for discounted prices on authenticated online platforms. 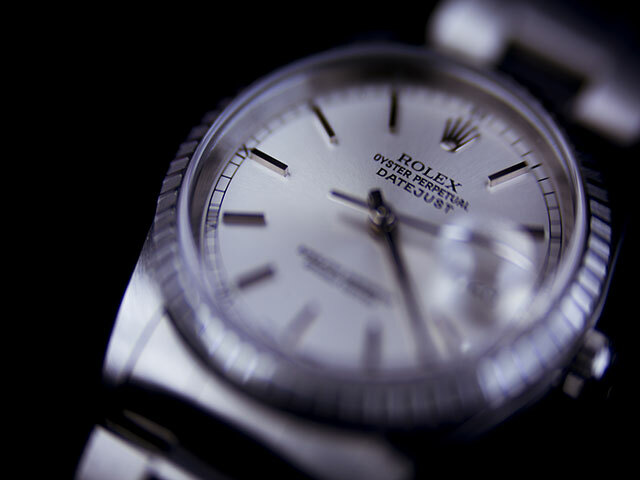 High on performance and prestige, Rolex watches are impeccable pieces of craft and technology. Crafted with great attention to detail and designed and produced in-house to the most onerous standard, a Rolex is a must have in your closet. Shop it from a wide range of options here.